Witchwoooood. The new set is fully upon us and things are kicking into full swing. Of course, by the time you read this the set will have been out for almost a week, but it's been out for a day at the time of writing. There are a ton of different decks I want to cover in the coming weeks. However, as can be expected, we're kicking things off with Rush Warrior. This archetype is interesting to me because I've noticed a few builds of it, and they all bring something different to the table. There are several options you can roll with when using the tempo shell, but I wanted to keep it as straightforward as possible. The deck we're looking at this week focuses on making good trades, keeping your opponent's minions off the board, and, more importantly, stacking up damage. It doesn't get more rushy than that. 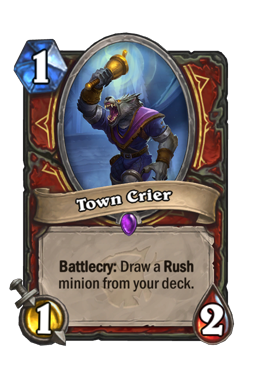 Town Crier/Countess Ashmore A big part of this deck is being able to reliably get cards. It's not so much about specific tutors, its about fuel. Tempo decks need a constant stream of cards to supply their engine, and my does this build have an engine. 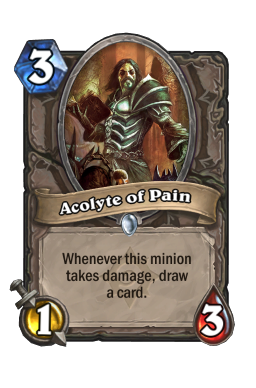 Yes, you have two Acolyte of Pain to go along with your double Battle Rage , but sometimes you want a bit more. It is an old rule of card games that targeted card draw is better than general card draw. That is to say, it is always better to be able to get the cards you want than just randomly drawing from your deck. Both Town Crier and Countess Ashmore ensure you get your rush cards as much as you possibly can. Though there is quite a lot going on in this list, the core is built around being able to crash in with favorable trades. You want rush cards to power the engine, which means you need to be able to find them as much as you possibly can. These two cards help with that while also giving you extra board presence to boot. In addition, while you may not always know exactly what rush cards are coming, the small pool you're pulling from means you should be able to make an educated guess most of the time. That can help you better plan out your turns and gives you a way to plan ahead in situations where you wouldn't normally be able to know how card draw turns out. 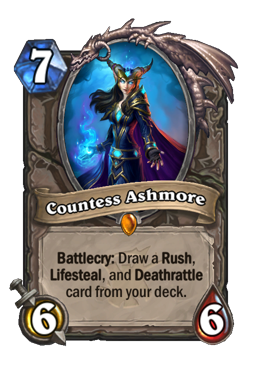 Note: You could cut Countess Ashmore for additional early game threats or late-game tempo plays if you so wish. Redband Wasp Paladins. Paladins everywhere. While I initially did not want anything to do with Redband Wasp , the two drop quickly grew on me with time. 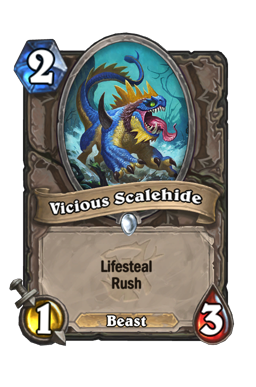 The reason, as shown by the inclusion of Vicious Scalehide in my Weekly Legends list this week, is Uther. 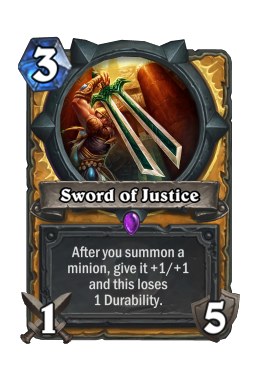 Paladin is one of the strongest classes in the early meta, but boy do they not like rushing 1/3's. 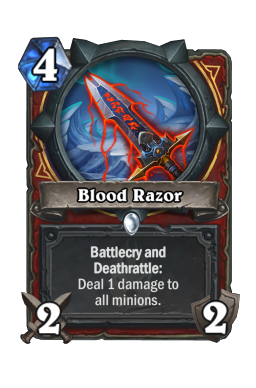 Redband is one of the strongest tempo cards because it enables you to get in early and take down Silver Hand Recruits. From there, it acts as a persistent threat that helps you move up your curve. Even when not playing Paladin, there are a lot of of one health or cheap two health minions running around you can take out. In addition, the +3 attack always keeps your opponent on edge as the game goes on. Another important aspect of this card is that it does a great job of trading up. The 1/3 rush body is not great during the middle to late turns, but the fact that it is a 4/2 after taking damage is vitally important. Remember, you are a tempo deck. That means your goal is to get the most efficient trades you can and, when possible, trade up. The attack boost on the wasp mixes with the initial rush to make that happen. 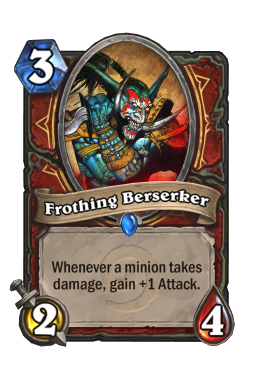 In that way this card works incredibly well at protecting your threats and helping you attack your opponent. 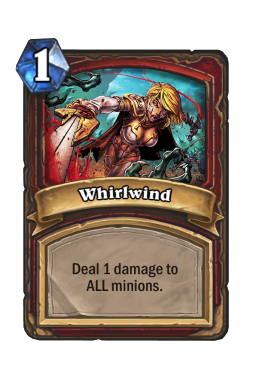 Also remember that the two drop can be triggered with both Whirlwind and Blood Razor to give you psuedo-removal during the mid game. That comes up less often, but it can be a handy way to handle any strong threats you don't have removal for. 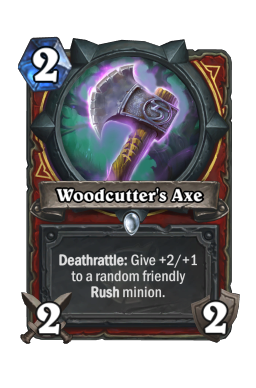 Woodcutter's Axe A huge part of the rush package, Woodcutter's Axe feels as strong as advertised. 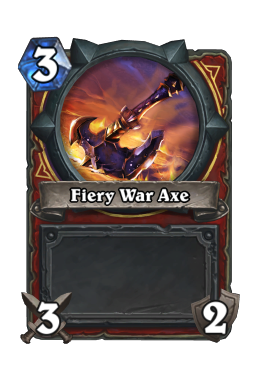 The 2/2 may not be as good as old Fiery War Axe (very few cards are) but it gives you a two mana weapon that can tangle with the all of the aggro decks running around. 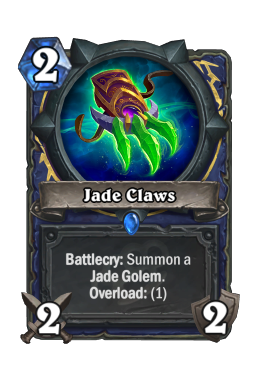 I view this card a lot like Jade Claws , except instead of a golem you get the buff. While losing the board presence hurts, getting an early +2/+1 is insane on the right minion. 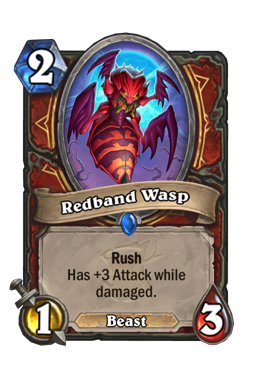 For instance, hitting a Redband Wasp gives you a 3/4, while sticking this on Militia Commander gives you a 7/6 the turn it comes out. One of the biggest weakness of rush minions is that it is hard to make use of their attack at different parts of the game. The axe fixes that issue while also providing both damage and board control. 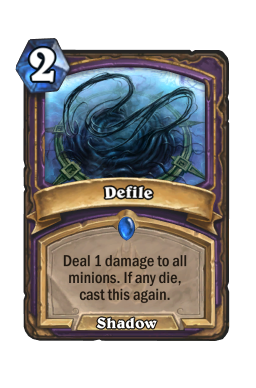 The biggest conundrum with this card is figuring out how much you value the deathrattle. A 2/1 buff is incredibly powerful, but you also are a tempo deck that needs to control the board. That can lead to a variety of situations where you need to choose if you want to take out a threat and lose the bonus, or if you want to wait to try and get some extra juice for the board. As important as rush minions are, the correct choice is almost always to just use the axe to kill something. You want tempo and you want to be able to clear something out each and every turn. If you hold back the axe it can cause you to miss a window of opportunity or weaken your curve. Rather, it is best to view the two drop as a weapon first and as a buff second. The only exception to this rule is when you have a card that, for one reason or another, you absolutely need to strengthen. Militia Commander If you caught my theorycrafting guide (and I assume you did) you know that when I first thought of this build I did not think it would include things like Militia Commander or Redband Wasp . That is because the cards seemed too weak on paper. However, the early meta is all about the board. In addition, it is also a game of small minions. In that world, a 5/5 rush is pretty good. Getting anything to stick around is powerful, even if the body it leaves behind isn't great. You don't care about what type of board you have as long as you have a board. Extra bodies are always good in a deck like this, and that makes the five health on the commander incredibly strong. 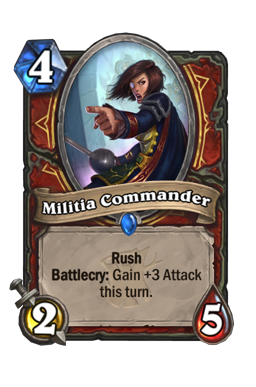 The biggest downside to Militia Commander is that, unlike your other rush options, she is very weak once the turn passes. Even so, as mentioned above, that doesn't matter as long as you can trade and keep a body at the same time. Those type of ding-and-live plays have always been the strongest in the history of Hearthstone, and this deck is chock full of them. Though there are a few different rush options out there, I think her health is what pushes her over the top. In addition, Woodcutter's Axe does a great job of consistently keeping the four drop as a big threat after she loses her attack. This is the card you want to hit with the buff if possible. In fact, that's so strong that there are many times where I will run her out on an empty board turn four just to feed her the buff. 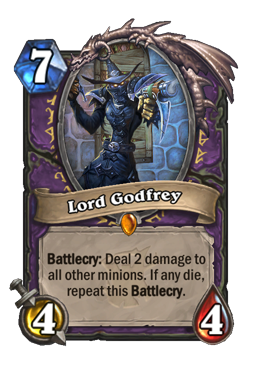 Darius Crowley We finish our card discussion with the big bad charger himself. 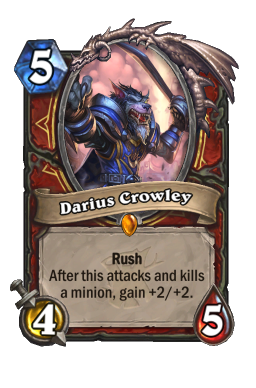 Darius Crowley is a very strong card, but it is not as precious as you first may think. It is very easy to get caught up in Darius' ability. However, as I've said a thousand times before (and will say a thousand times again) you never want to lose yourself in what a card can do. Rather, you simply need to focus on what it does. In the case of Darius, he is a good removal spell that, in some situations, can act as a repeatable threat. Yes, it always feels good to hit something small and have a huge, must-kill beater, but it's fine to let him die if it protects your board or furthers your gameplan. However,, that does not mean you want to run him out into dangerous situations for no reason. There are times where Darius gives you lethal or forces your opponent into a tight corner. His ability grows his body incredibly quickly, and there is no doubt that he can win games on his own. There are a lot of small minions in the meta right now and if you see an opportunity to kill one without losing tempo, do it. Just always be aware that Crowley is not a card that you need to work hard to protect. He is simply one tool in a tool box filled to the brim with strong options. The four decks I've seen most in the early ladder. Odd Paladin There are quite a few different archetypes on the ladder during the early days, but Odd Paladin is definitely the leader so far. This list aims to use their suped-up hero power in combination with fast synergy cards to overwhelm opponents before they can get properly set. Even so, they have one big weakness, and that's Whirlwind effects. Your goal in this game is to clear, clear, and then clear some more. However, you are not clearing the way you would when playing Control Warrior. Rather, you want to keep Paladin's minions off the board as you steadily build up more and more damage. Your top-end is going to crush Paladin, but you can get overwhelmed if you aren't careful. Never get too complacent here. Everything in this matchup should be geared towards chipping down Paladin's minions. The idea of rush is to get good trades, and they are everywhere in this one. If you can, always prioritize killing Silver Hand Recruits. It is extremely easy to ignore or move past the 1/1's (especially when you feel lethal coming), but all it takes is one well-timed Level Up! and you're out of the game. You can outlast Paladin, but you also never want to give them too much time to respond to your plays. The more pressure you pile on, the more of liability you make their hero power. The goal is to get them constantly worrying about their health. That will then give you a chance to play threats as they answer you. 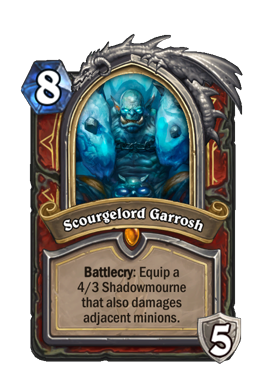 The only time you can take this slow is when you're setting up Scourgelord Garrosh . The Death Knight wins this game on his own. Control Warlock There are just some things you can't escape. As different as the meta feels right now, Cubelock has made it know that it's here to stay. The deck still has some of the strongest pieces is in the game, and its combo is still good. 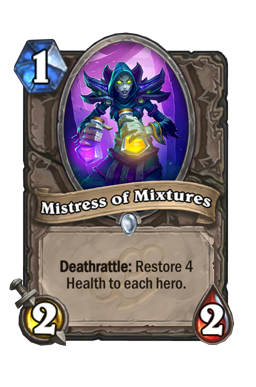 However, the loss of Mistress of Mixtures has opened them up to more aggressive builds. This is not a huge problem right now, but it is one you can easily exploit. That is because you have full leeway on the board for the first few turns of the game. This is the only matchup where you truly need to be an aggro deck. Your goal is to play every single threat you can and go face as much as possible. It is very rare that you want to focus on the board. 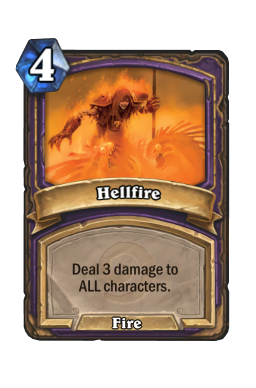 The only reason to trade with Warlock's early game is if they have a way to set up a strong Defile or rope your high-health minions into Hellfire . Otherwise, you push hard with everything you have. Try your best to end this game around the mid-turns before you have to start dealing with giant Voidlord s. The 3/9's are an ever present problem, and they will singlehandedly shut you down if you don't have Spellbreaker . 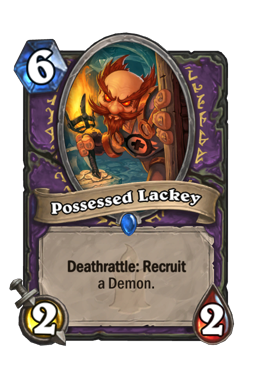 Though there is almost nothing you can do about Possessed Lackey , you can try to stack up a ton of threats on turn five to discourage your opponent from playing it. Though it is not easy, you can discourage Warlock's plays by running out as many bodies as you possibly can. 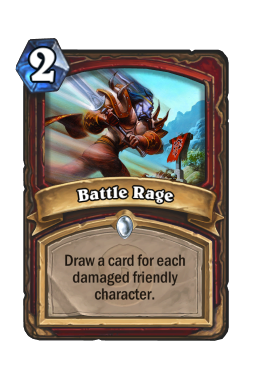 That will then force them to use removal or AOE rather than play to their combo. 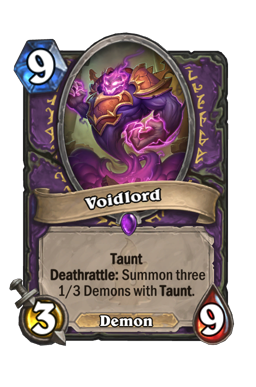 One last note here is that, even if your survive the first Voidlord , you always need to end this game by turn ten. 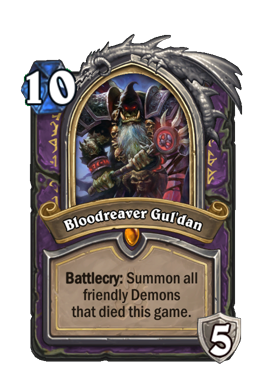 Bloodreaver Gul'dan is simply too much to handle. As a result, play hard to Grommash Hellscream if you ever have him in hand and don't be afraid to throw Kor'kron Elite s at your opponent's face. Note: If you're seeing a lot of Warlock I would run a second Spellbreaker . 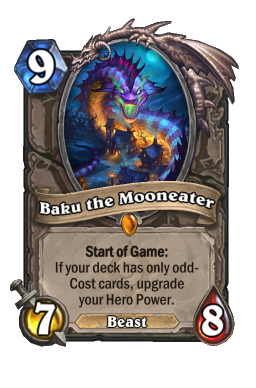 Odd Hunter Coming up at number three is Baku Hunter, which is a deck that seems to pack quite a bit of punch. I am not sure if this is going to be able to have staying power as more and more Warlocks get played in the coming weeks, but it seems to have a solid amount of damage for the time being. This game is incredibly difficult, and is another match where Redband Wasp shines. The way you pace this one is simple. Trade well during the first three turns, and then start cranking up the heat as fast as you can. Face Hunter is a deck that does not like being under pressure, and the more threats you can stick, the more they may be forced to use their burn on your minions. Once they start using resources to go at your board, you will have an opportunity to go face. As soon as you get the advantage you need to press hard. If you ever fall behind, you basically need to call this one quits. For that reason, don't take chances and never open yourself up to damage. While it never feels good, this is a game where you want to make use of your hero power. Getting a few extra armor at choice points of the game is one of the best ways to stay alive and make sure your opponent can't randomly top deck lethal. Even so, you always need to be careful. Hunter's three damage hero power comes on hard and extremely fast. Do not make bad trades or ignore the board just because you feel safe. Only press your advantage after you've counter your opponent's damage potential. Diving heard first into the abyss is a great way to die here. 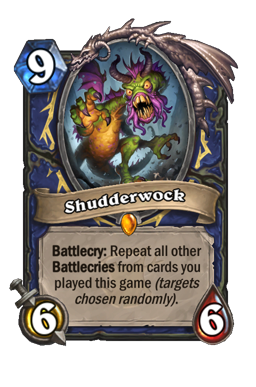 Shudderwock Shaman Rounding out our list is Shudderwock Shaman. Though I don't think this deck has a lot of lasting power (I never trust decks that auto-scoop to aggro) there is no doubt that it has a pretty strong win condition if it can make it to the end of the game. For that reason, you're never going to let Shaman get to the end of the game. Thrall has some power, but most of their deck does nothing. As when playing pre-nerf Quest Rogue, your entire goal here is face, face, face. Push with everything you've got and only take out the board with rush minions. 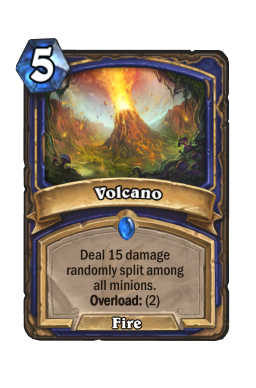 The only way you lose this one is if Shaman gets good clears off on you. For that reason, you have to constantly apply damage in a way that is not weak to AOE. 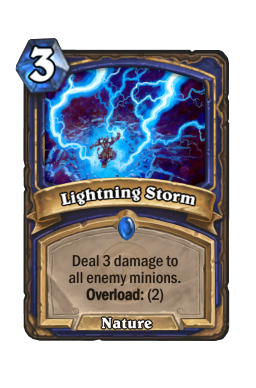 For example, two beefy threats can force out a Volcano while also dodging Lightning Storm . 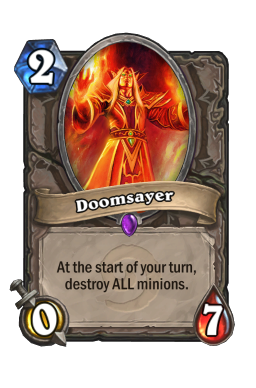 You also need to be wary of Doomsayer . The 0/7 is fairly standard across Shudderwock decks these days, and that is something you need to always keep in mind. Your rush minions do a great job of chipping it down, but you should still constantly plan for it. Getting stuck in a situation where you have no answer is a great way to lose. New list, same old tricks. 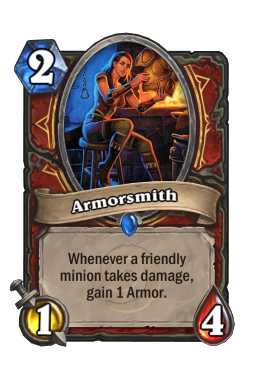 Tempo Warrior has always run the same shell, which means you mulligan is going to be the same as the old lists. Town Crier , Armorsmith , Redband Wasp , and Woodcutter's Axe are your must-keeps. 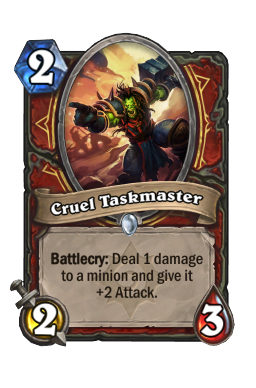 Acolyte of Pain and Frothing Berserker are both good on curve, while Cruel Taskmaster is strong with other early minions. Spellbreaker is good against Warlock, while Harrison Jones is great on-curve against Gul'dan. 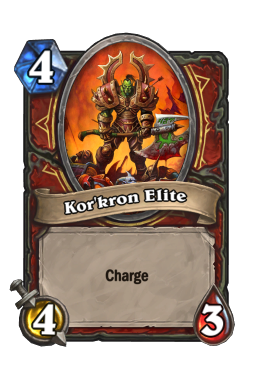 Blood Razor , Kor'kron Elite and Militia Commander are all great on curve. I looooove new sets. Honestly, who doesn't? The Witchwood has been an absolute blast so far, and you better bet we have a ton of new and exciting ideas coming down the pipeline. Not only do I have my own decks coming up, but I can't wait to see what type of brews and interactions other people come up with. If you're looking for something fresh that can handle Paladin decks, this is one of the best choices for you. Until next time, may you always have Darius live.